Joseph was a just man. 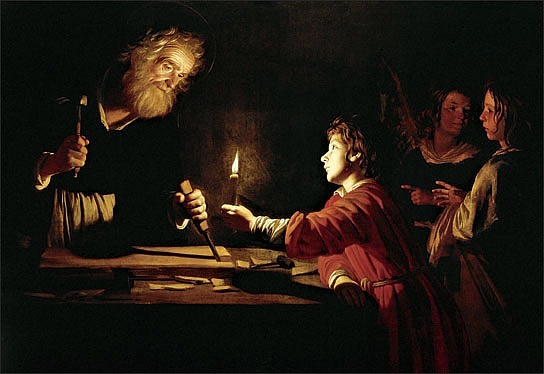 St. Joseph, guardian of Jesus and chaste husband of Mary, you passed your life in loving fulfillment of duty. You supported the holy family of Nazareth with the work of your hands. Kindly protect those who trustingly come to you. You know their aspirations, their hardships, their hopes. They look to you because they know you will understand and protect them. You too knew trial, labor and weariness. But amid the worries of material life your soul was full of deep peace and sang out in true joy through intimacy with God’s Son entrusted to you and with Mary, his tender Mother. Assure those you protect that they do not labor alone. Teach them to find Jesus near them and to watch over him faithfully as you have done.